Neha is IIC’s second employee (after the CEO) and has been associated with the organisation since October 2015. She manages Memberships and core functions at IIC. 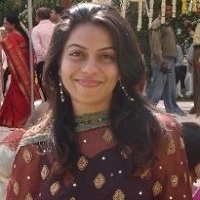 A traveler by nature and wanderer at heart, Neha has tapped multiple industries during the 10 years of her work life. Post her specialization in Robotics/Multimedia/Software Development from Melbourne, Australia she worked with brands like CitiBank (Australia), TCS, IMS (Education). After her stint at Indian School of Business, Hyderabad she tested waters at Oliver Wyman (Singapore) and Googled around. Despite her varied work experience, she feels that her growing years at Scindia School, Gwalior and her time with her family will always be the most impactful in her life.